A Great package - Free breakfast, $20 E-CASH and 2 for 1 Dinner. It's right up your alley! New Members get $45 E-CASH! Book Room or RV Site Now! Welcome to Gold Dust West Carson City! Make a night of it at Gold Dust West Casino Hotel and Good Sam RV Park in Carson City. Awarded TripAdvisor’s Certificate of Excellence five years in a row, it’s the perfect way to unwind after playing your favorite games. 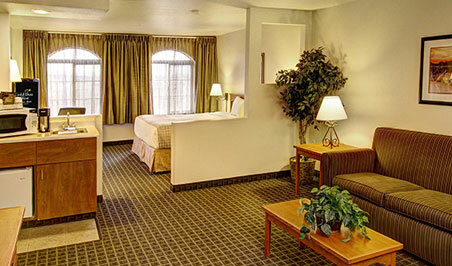 Our hotel offers many amenities and is your home away from home. When you stay at Gold Dust West, you can enjoy great food, 24 hours a day, 7 days a week. Our friendly staff and signature dishes make the Grille and Olé Olé Mexican Cantina, Carson City’s favorite restaurants. And, with our extensive menu, there’s something to satisfy everyone. Stop in today!